This book gets a little "preachy"
The true nature of our mind is brilliant, clear, and joyful. But we don't experience this reality amid the swirl of stresses, thoughts, and emotions of day-to-day life. 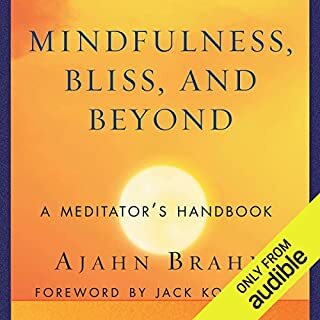 Our Pristine Mind is a practical guide to uncovering our naturally comfortable state of mind and reconnecting with the unconditional happiness that is already within us. 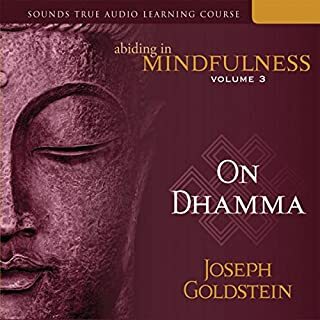 Using straightforward, accessible language, Orgyen Chowang Rinpoche leads us through the path of Pristine Mind meditation. 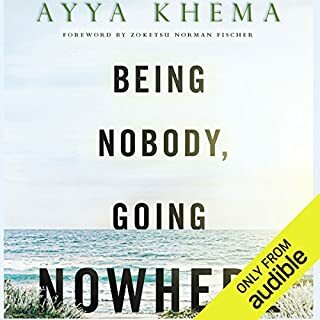 Anatta is the Buddhist teaching on the nonexistence of a permanent, independent self. It's a notoriously puzzling and elusive concept, usually leading to such questions as, "If I don't have a self, who's reading this sentence?" It's not that there's no self there, says Rodney Smith. It's just that the self that is reading this sentence is a configuration of elements that at one time did not exist and that at some point in the future will disperse. Even in its present existence, it's more a temporary arrangement of components rather than something solid. Anatta is a truth the Buddha considered to be absolutely essential to his teaching. Smith shows that understanding this truth can change the way you relate to the world and that the perspective of selflessness is critically important for anyone involved in spiritual practice. Seeing it can be the key to getting past the idea that spirituality has something to do with self-improvement and to accessing the joy of deep insight into reality. ©2010 Rodney Smith (P)2015 Audible, Inc. Most important book I've ever "read". Smith's words can seem confusing - I recommend multiple listenings. A lot of questions answered! I've always had a lot of questions that I couldn't find answers to, about notion of self in Buddhism, etc. This book addresses a lot of my doubts! I would add though, that some of the concepts can be unusual for a unprepared reader. But I'm sure that anybody would find this book useful! Otherwise a very profound book for anybody who is seeking spiritual growth. 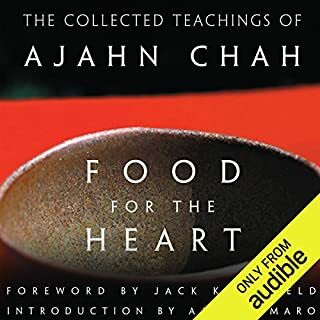 I have probably 100 'Buddhism/mediation' books both audible and print and this book is currently in the top five. The narrator is fine so take those comments with a grain of salt. However, I will say the content is dense, and should be read after some real experience with mediation. I've had a practice for 2 years now and the concepts described make a lot of sense at this point. His coverage of integrating your practice into your life is very welcome. He also does a great job of explaining the very difficult 'no self' concept that those of us in the West have such trouble understanding. Anyway, listening to this every 8-12 weeks for those with a daily practice will be very rewarding. If you can start with the idea that we don't have an inherent separate self, but what we really are is everything, we can begin the process of creating a state of being free from suffering. This can be very hard to do. Understanding this concept is only the beginning of the journey. Books that help us in the beginning to head in the right direction are invaluable. Rodney Smith has written such a book. A whole lot of hmm without the ah-ha. There were three chapters that offered practical advice, the rest were mainly philosophical/theoretical. What could Rodney Smith have done to make this a more enjoyable book for you? Way too wordy. Each chapter's foundation for the topic was good but way too long for what little if any advice was provided. If the book was meant to talk about things that make the reader say, "hmm" instead of "ahh-ha", Smith nailed it. 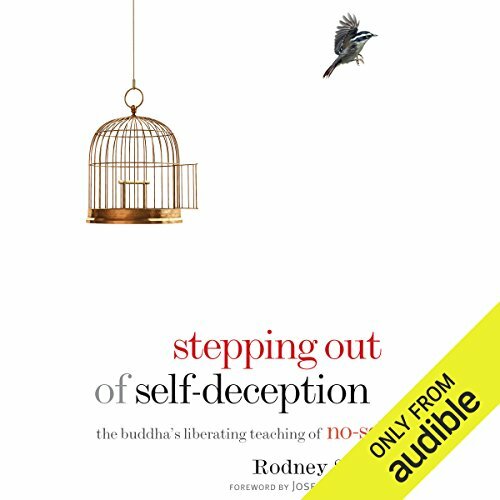 Was Stepping Out of Self-Deception worth the listening time? The book could have been half the size and still conveyed the message. 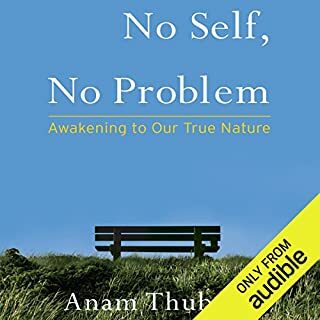 This book was a wake-up call for me personally. It allowed me to reflect and become more aware of how much of "me" is still driving my spiritual practice. Do I expect rewards? Am I becoming moralistic? These questions (and many more) are the types of questions that I have pondered while listening to this book. The book points out many of the tricks the mind uses to help me believe that I am making spiritual progress. This book took me a few listens. 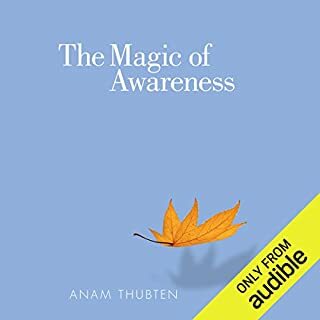 After my first listen, I realized that the book had so much information, that I really needed to listen carefully if I wanted to understand it. This is not a casual read, but the information is so useful that if you can really listen and understand it, you will be the better for it. Self-deception - so thorny to approach. With tenderness and loving kindness, our guide entrusts us with delicate, yet uncompromising logic. It blooms as light in our heart/mind. I am grateful for these words read with such care and understanding by Mr. Pile . I am inspired by Mr. Smith’s humility and thoughtfulness. Thank you. This book clearly explains the ultimate state in Buddhism. This state is the same as that described in A Course in Miracles and Brother Lawrence’s The Presence if God. one of the most thought provoking books I've ever read. lost count of the times I've listened to this . I liked it so much I bought the book.